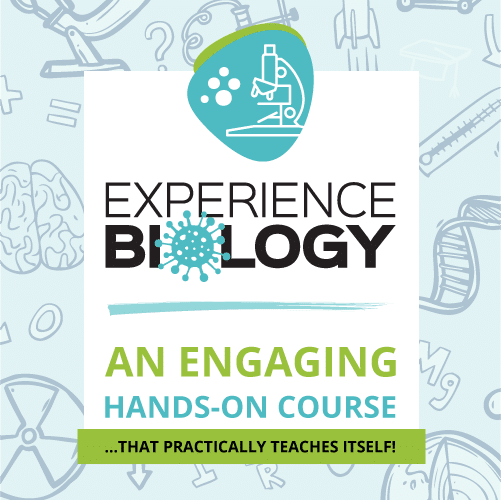 Teaching Textbooks is a featured sponsor of the HELP! 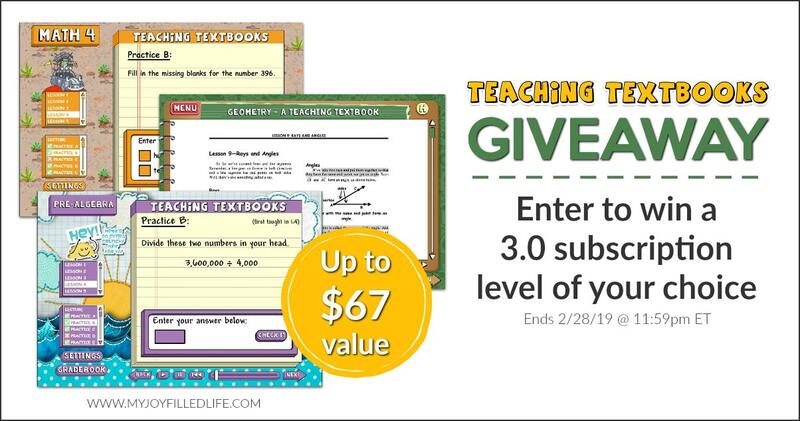 for the Homeschool Mom series and they are generously giving away a Teaching Textbooks 3.0 online subscription for the level of choice (12-months) to two winners (up to a $67 value). Be sure to check out all the posts, giveaways, and sponsors in the HELP! for the Homeschool Mom series! Just click the image below. 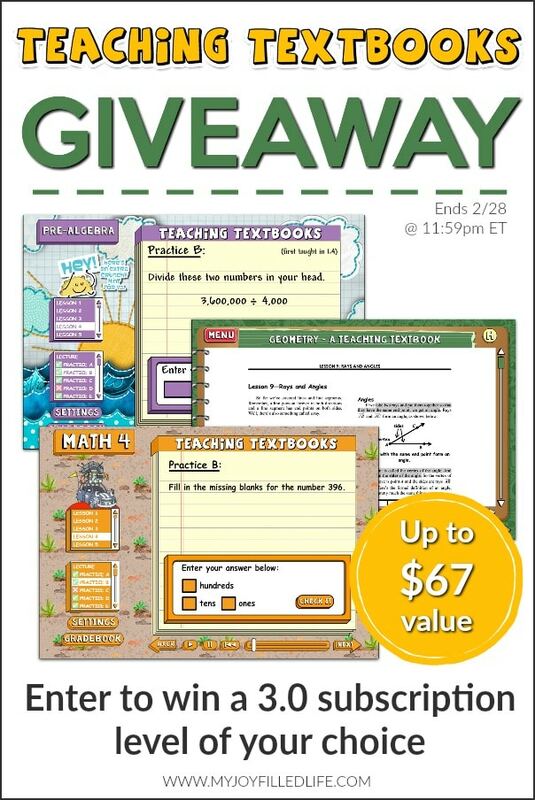 Teaching Textbooks is an award-winning math curriculum with options for computer-based, online, or textbook instruction (this giveaway is for the online version). It’s an affordable math option for homeschoolers and is the perfect choice for large families, busy moms, and homeschool parents who aren’t strong in math. Teaching Textbooks pretty much does all the work for you – teaching AND grading! You can read my full review of the 3.0 version here. Entering the HELP! 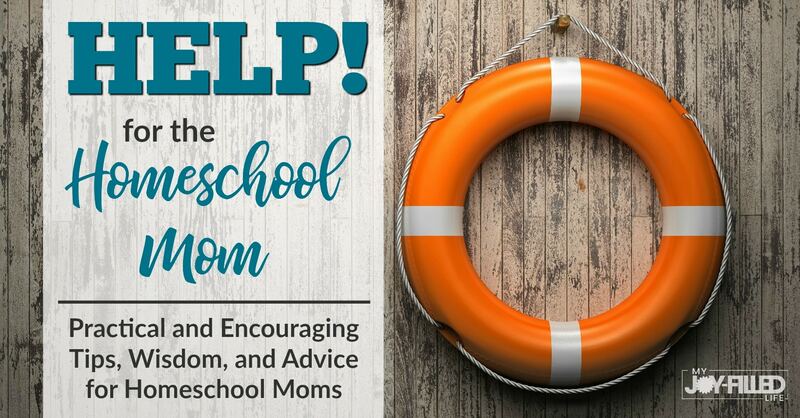 for the Homeschool Mom giveaways signs you up for the My Joy-Filled Life newsletter if you aren’t already subscribed. Winners have 48 hours to claim their prize before a new winner is drawn. Giveaway sponsors are responsible for delivering prizes directly. All giveaways end February 28, 2019 at 11:59pm ET, unless otherwise noted. Be sure to read the terms and conditions upon entering. Even more giveaways to enter!! We’ve lived the CD ROM version of TT and would love to try the invoice version for more versatility. We just started using TT online and love it! I have wanted to try TT with my oldest because I have heard it will take the math tears away! That would really be exciting to see! An excellent giveaway! Choose a level is great for anyone! What an awesome giveaway! Thanks for the chance to win! We’re using the free trial of TT right now, so it would be awesome to have the full version. I have heard nothing but great reviews of Teaching Textbooks, so hopefully one day we’ll be able to give it a try with my kiddos! Thanks for offering this giveaway, good luck to the winner! We used and loved the CD ROM and book version. I’m excited about this online version, plus it’s cheaper than buying and storing all the materials. We just started using the online level 5. We are loving it!! I have many mom friends who highly recommend Teaching Textbooks and had great success with their children learning math without mom-frustration. Thanks!